Are you looking for best SMS Bomber for an android device? Are you want it to be an International bomber too? If yes, Then you can download today from here the app called BOMBitUP apk which is also supported by International Mobile numbers. One of the best SMS Bomber for Pranking friends and relatives by sending unlimited Messages to their mobile number. The best thing is you are not exposed after sending multiple messages to the victim. This app lets you do the job anonymously. You are completely safe if your intention is Good then you may face the trouble when this app is used for revenge or other purposes. The person is only responsible for all his/her activity with BOMBitUP apk. The developer is not responsible for anything you do with this fun app. BOMBitUP app for IOS is still in the development stage we will update the post according to the developer news. Keep checking space here for more updates regarding BOMBitUP apk. 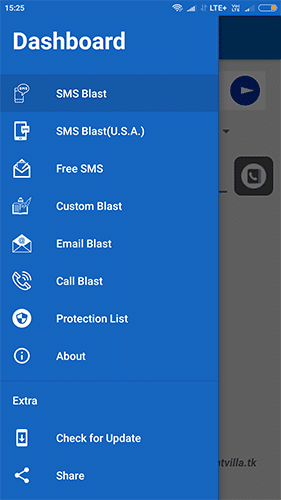 What is SMS Bomber apk? SMS Bomber apk is one of the android apps which is mostly used for pranking and recreational purposes. Previously there are tons of Websites providing the same service which is intentionally the same purpose. But those are now not updating the API’s of SMS sending services. So, many of the websites got shut down. BOMBitUP apk is getting latest updates from the developer whenever anyone of the API is not working. 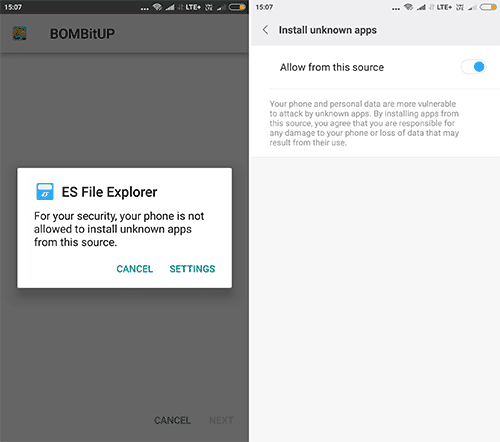 The developer updates the BOMBitUP apk with latest suitable API. In simple words, this is an app for sending unlimited messages to the number which you want to blast. BOMBitUP apk is developed by Sanchit Gera you can find him on Github for any help regarding app development. Download the app from below links officially. We have given the names of the contributors to the app development and testing. 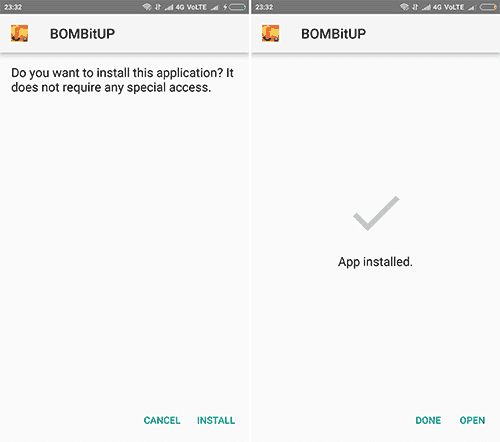 Step1: Download BOMBitUP apk from the above download link. Store into the Internal Memory or SD Card. Step2: Tap on the apk now, you may get the popup which is asked for Allow from this Source or not. Toggle the allow from this Source. Step3: Again tap on the Apk file and Install the app normally. Step4: Open the app to make fun of someone. 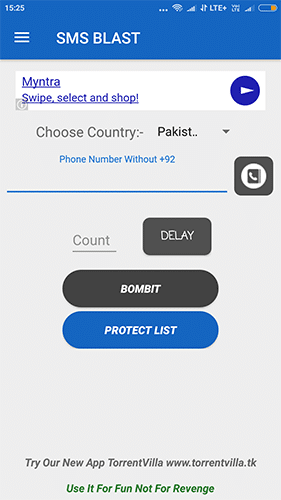 Select the Country from the drop down menu and enter the number or pick from the phone Book. Check the Update within the app. This is to inform all the users of BOMBitUP that we at BOMBitUP apk created for fun purposed on;y, not to harm or hurt any party. Therefore users are duly informed that we would not be held responsible for any ill deeds or any misconduct by the user through the application. It is solely the responsibility of the user using the application.